Compare our cheap car rental in Spain deals today. If you long for a lifestyle full of excitement and glorious sunshine, there’s no need to travel halfway across the planet. Just get on a plane to Spain and in less than three hours you’re in a new environment with an excellent climate, a vibrant culture plus a huge range of things to do and places to see. We offer our car rental service throughout Spain. Our most popular pickup points include Malaga, car hire Alicante, Murcia, Lanzarote, Fuerteventura, Tenerife, Barcelona, Gran Canaria, Granada, Jerez and Seville. Spain offers the ultimate way of life with the rich blend of the balmy climate, stunning scenery, and a relaxed and sensuous way of life. Spain includes a varied topography from the rugged mountains of the north to the glorious stretches of coastline on the Atlantic and Mediterranean. You will find timeless monuments and solitary castles looming on hilltops, medieval towns with winding cobbled streets and chic metropolitan areas like Madrid and Barcelona offering shopping, art galleries and restaurants. Although Spain’s inland city areas for example Granada, Seville and the capital Madrid are brilliant locations for a holiday, it’s the coastline that attracts most visitors and offers the real Spanish way of life. For one thing, the climate is better on the coast. It does occasionally rain even in the summer months, but compared to the oppressive heat of some inland areas, temperatures along the coastline are usually pleasant. Spain and its islands are home to some of the most astounding architecture you will ever see. You can invest some time in enjoying the architecture of Antoni Gaudi in Barcelona and in particular the Parc Guell which has many buildings and wonderful sculpture designs. You should also check out the architecture of Frank Gehry which may be viewed all over Spain such as in the Guggenheim Museum in Bilbao and the Malaga Conference and Convention Centre. Elsewhere, take a look at the designs of César Manrique in Lanzarote. The surrealistic pieces of Salvador Dali are simply magnificent and you can see this within the town of Figueres. 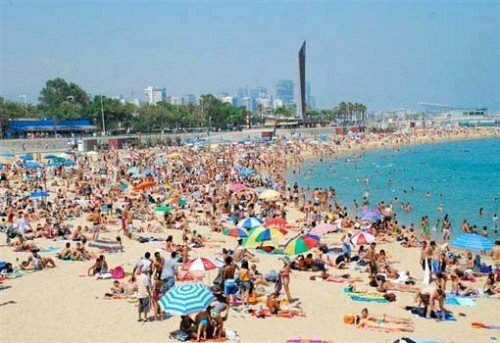 Certainly, some of the main reasons people go to Spain are for sun and sand. 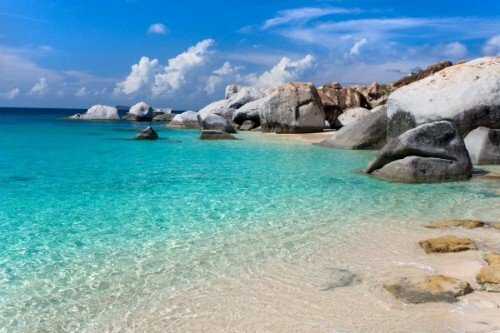 With hundreds of beaches to select from, any area of coast that you visit will be blessed with the most impressive beaches. Everyone knows places, such as Malaga and Alicante and of course the Canaries, Ibiza, and Tenerife. Search for a low cost car hire Lanzarote Airport quote if visiting soon and we have some great offers. Beaches are plentiful and there’s enough for everyone! Southeast Spain is home to cities, towns and fishing villages nestled between the mountains and the harbors and beaches on the Mediterranean. Holidays in this part of Spain give an every day feeling of a fiesta. Natural beauty usually excels when below sunny skies and that’s where Spain wins out. Spain has the warmest, sunniest and driest winter climate of all Europe. If you go to in summer, the long swathe of Mediterranean coastline will bask to temperatures of more than twenty five degress for much of the time. You might not know that you can ski in Spain! For example, a holiday in Andalucia will allow you to indulge in some skiing in the Sierra Nevada Mountains. What can make it much more incredible is the fact that throughout the period of later Spring, you can go skiing in the morning and then sunbathe on the beach in the afternoon. Spain is famed for having some of the most fantastic cuisine globally, from paella and meat dishes to tapas. Among the most Spanish things you can do on vacation in Spain is to to go to a tapas bar where you can eat tapas while having a drink. The villages and town areas of Spain all have lots of cafes where you can sit and relax outside and watch the world go by. You can compare cheap car rental offers from the finest Spanish car hire firms in just seconds. Check out our cheap car hire Malaga Airport deals today.